We’re always looking for great outdoors products that perform well in challenging conditions. 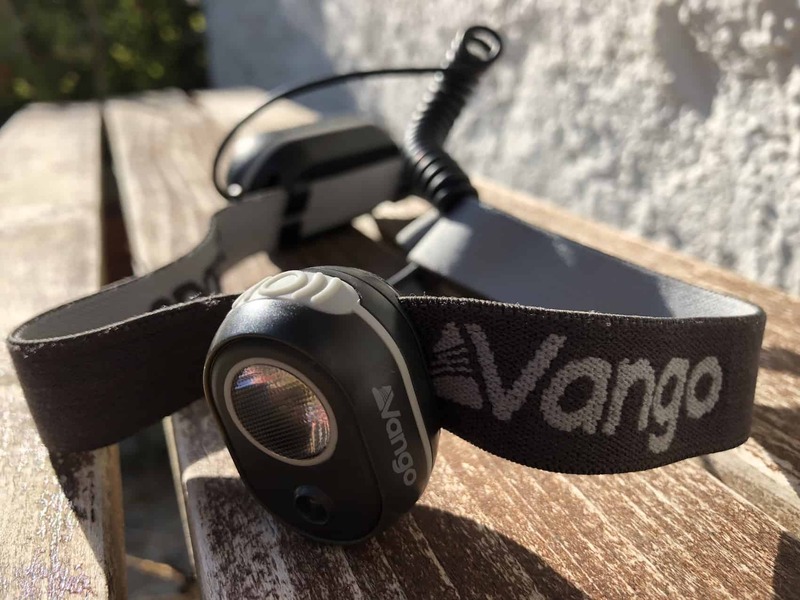 We’ve used these tiny Vango Photon USB head torches for many of our adventures this year from bothying in the Highlands, trekking the TMB or backpacking around Borneo. 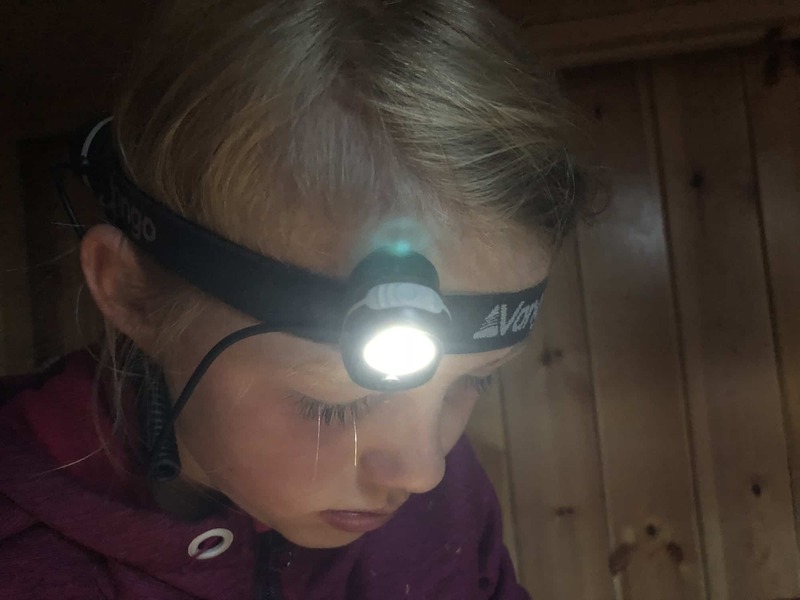 Head torches are super handy to have on any outdoor adventure and this minuscule one still packs a punch and is perfect for kids or adults alike. Product description: The Photon headtorch produces up to 150 lumens from the main LED, utilising a collimator lens to provide long distance light projection whilst maintaining soft peripheral light. 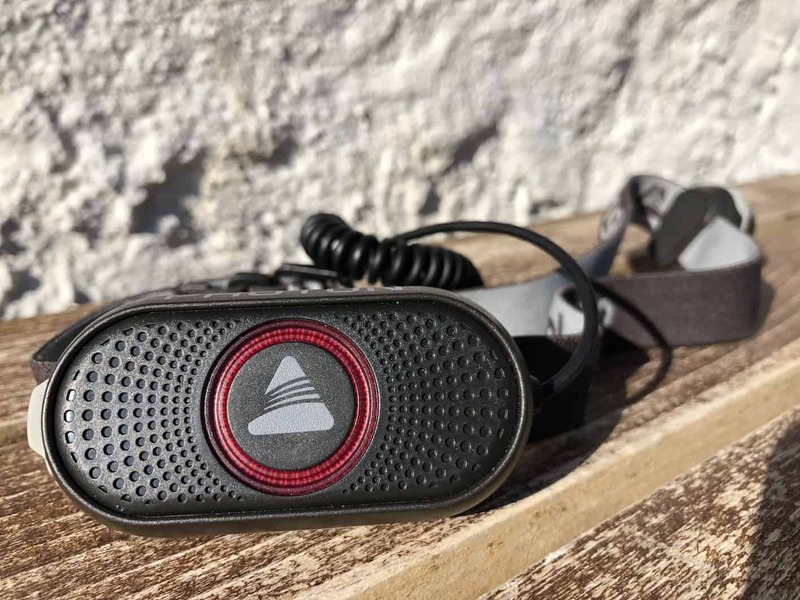 Compact and versatile, Photon can be easily removed from the headband and clipped onto your helmet, clothes or rucksack, providing an adaptable light-solution to all your outdoor needs. We found the Vango Photon Head torch to be incredibly versatile. It’s super light weight, weighing only 0.083kg and we love the fact that it’s USB rechargeable. The re-chargeable battery pack (above) clips onto the comfy elasticated headband and is barely noticeable at the back of your head. It features a red caution light with choices of constant or flashing, which is a great addition for night time road running or cycling. The 120mAh Li-Polymer battery is easily recharged via a USB cable (included) making packing spare batteries a thing of the past. I have a power bank which I take on longer trips for charging my phone (highly recommended for trekking the Tour du Mont Blanc where the few electric sockets are in high demand!) & so these head torches work really well with my set up. The rear red caution light flashes while charging. I’m not sure how long the battery life is supposed to be but it’s long. I’ve only had to recharge it a couple of times in months of using it. The actual head torch is tiny and features a host of LED’s producing up to 150 lumens of light, perfect for camping, travelling, and here (above) staying in high mountain refuges in the Alps. There’s a great choice of light settings from a seriously dazzling white light (produced from a premium CREE LED), a long distance light projection from a collimator lens which maintains a soft peripheral light, a flashing light and a front red light, which we love for our night adventures where we don’t want to ruin our night vision. The elasticated head band is easily adjustable to fit both adult and kids. My girls love these head torches just because they are so small and dinky but have real power, compared to inferior head torches in the kids market. 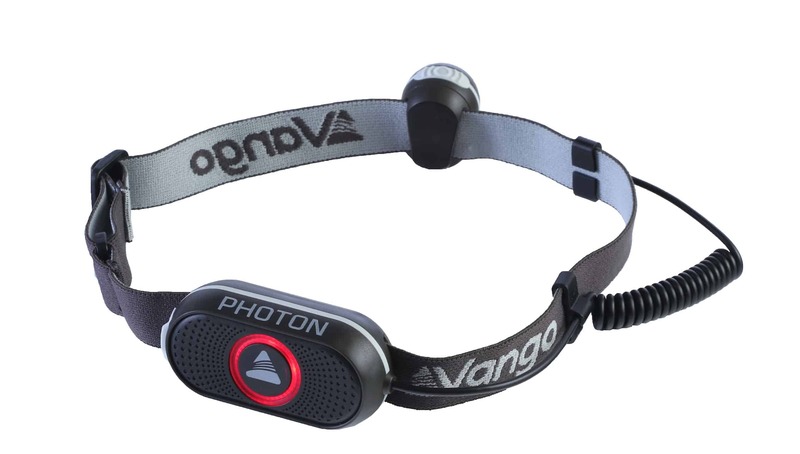 The Vango Photon head torch is completely removable from the headband making it super practical. Clip it onto a helmet, tent, rucksack or your clothes. It’s also tiny enough to fit into your pocket. 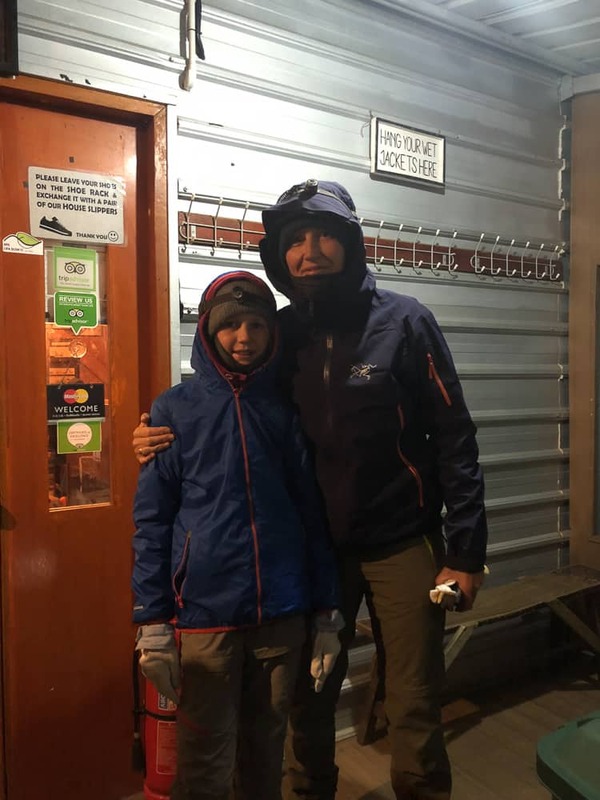 Here we are (below) in Borneo setting off at 2.00am in the morning from our high altitude hut to summit Mt Kinabalu (4,095m). The Vango Photon head torches worked a treat, securing our beanies and jacket hoods in the biting wind and their bright beams guiding us up the rock path in pitch black. We also loved the head torch ON/OFF & settings button was easy to use wearing our gloves during the climb, which meant we didn’t have to faff taking our gloves on and off. 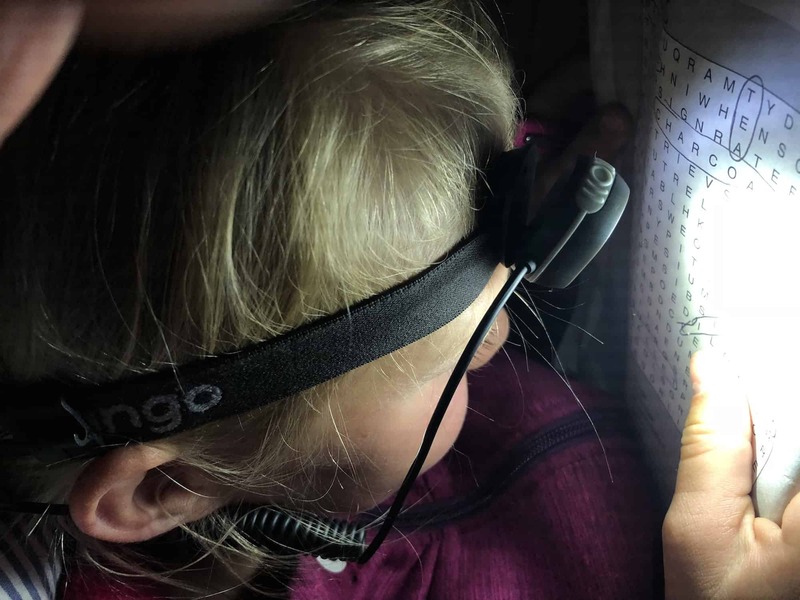 Conclusion: We love our Vango Photon head torches and would throughly recommend them to any outdoor families looking for a decent, affordable head torch for all round use. They are brilliant for camping, travelling or multi-day hikes. Disclaimer: We were provided with these head torches for purposes of our head torch review, but as always, our opinions are always honest.